Er is sinds 17 juli een nieuwe versie van Stereo Tool uit, dit is versie 7.24. Bekijk hieronder de verbeteringen. 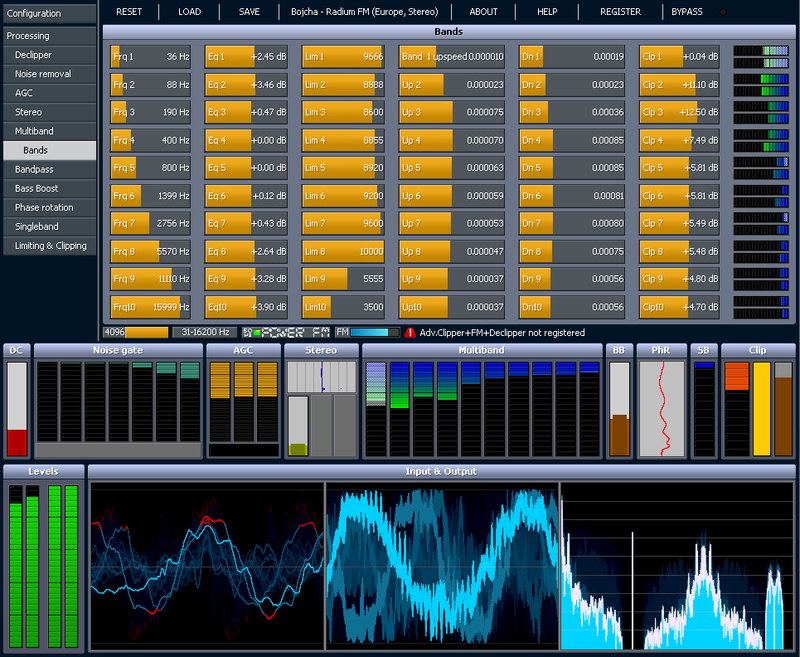 Stereo Tool kan je gebruiken als audio processing voor o.a. Sam Broadcaster, RadioDJ, en ProppFrexx. Stereo tool is vergelijkbaar met het bekende Breakaway, echter kan je met Stereo Tool meer instellen. De licentie voor Stereo Tool Basic kost 35,- euro. Linux versions are back, now with multi-threading and Jack sound card support! AM stations: Added asymmetric clipping. Much faster preset loading/saving and hence much faster booting and closing. Improved low latency monitoring output (latency wasn’t low enough and sound was sometimes bad). Sound card handling improvement: Latency is now always exactly the same after (re)starting. GUI: Entering registration key changed, overview of registered features added. GUI: Errors are now displayed in sound card bars. GUI: Remember sound card selection even if that sound card is not present anymore. GUI: Slightly improved the mouse hold (slow slider movements) vs. non-hold detection. Simplified a lot of code and moved any OS-specific code to separate files. Bug fix: With Multicore disabled, Normal output didn’t work in the stand alone version. Bug fix: Very rare channel swapping issue in Windows due to a threading error. Bug fix: Very rare hangup on sound card switching via GUI.